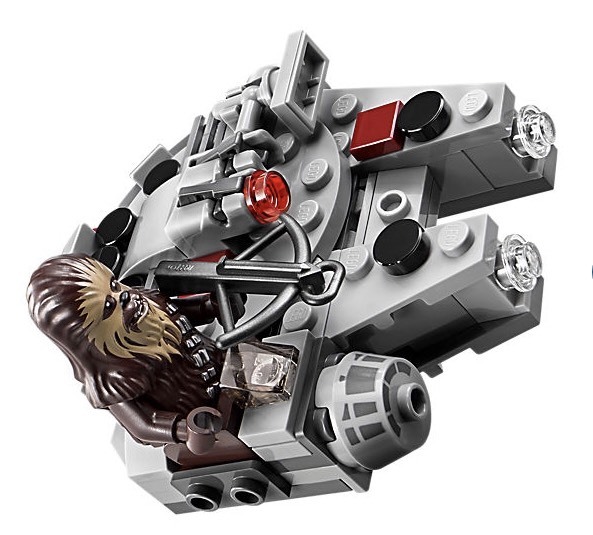 This year Lego has introduced Star Wars Microfighters Series 5. 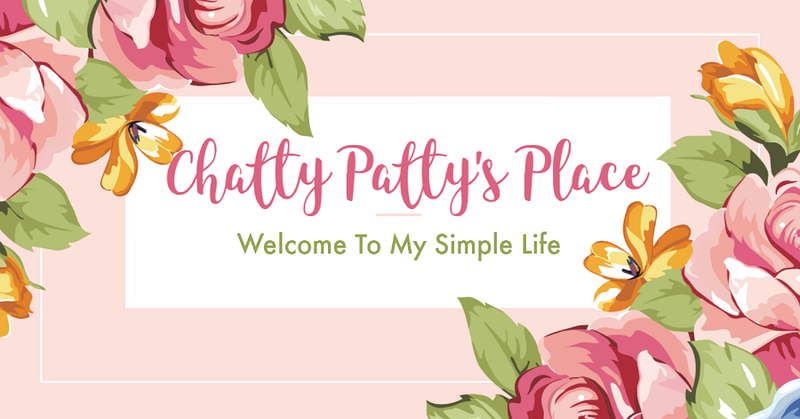 They make perfect holiday gifts and are perfect for stocking stuffers! They are so fun to build and great for building fine motor skills. 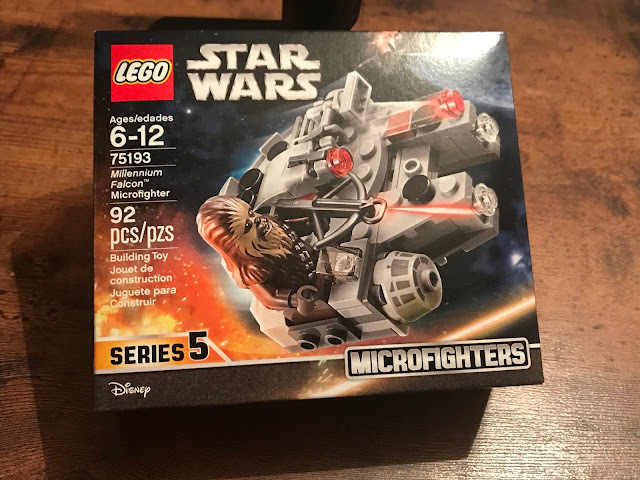 I received the Lego Star Wars Millennium Falcon MicroFighter set to review. It is so cool and I can't believe how detailed it is! There are 92 pieces in this particular set. 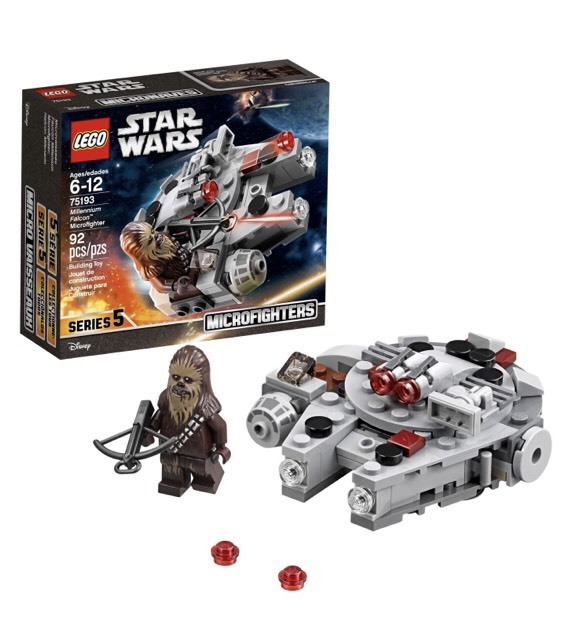 This set has 2 working stud shooters, which I thought was pretty cool. 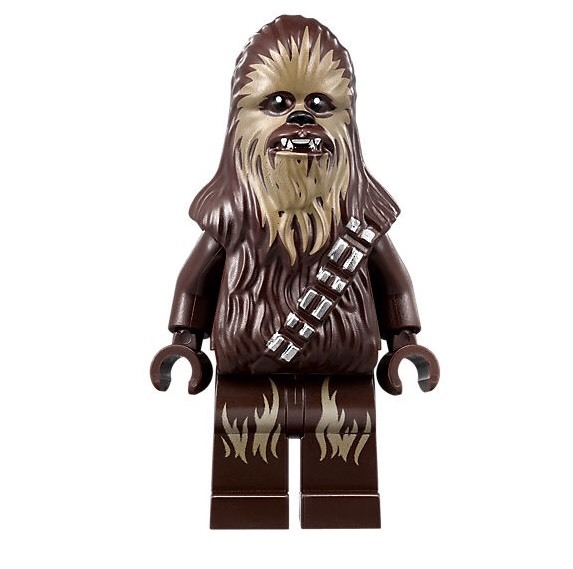 It also includes a Chewbacca Lego figure with Bow Caster. 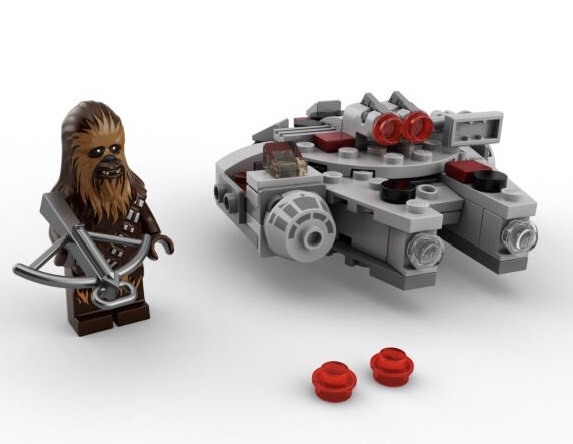 This Microfighter has a space seat for Chewbacca to sit in. The Legos Star Wars Microfighters are recommended for ages 6-12, but lets face it, adults love them too! Disclosure: I received this set to review.